2017 SAF Scholarship Recipient - Shufflin' Along LLC. Congratulations to Joshua Myers! He is the 2015-2016 recipient of the Shufflin' Along Foundation Scholarship. 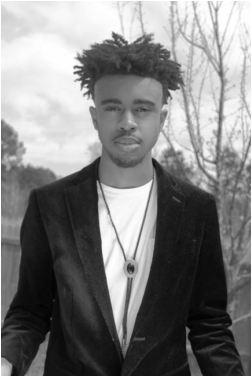 Joshua Myers is a senior at Caddo Parish Magnet High School in Shreveport, LA where he is in the National Honor Society, a 2016 United States Presidential Scholar Candidate, a member of the International Thespian Society and an Honor Thespian. He enjoys helping out at church, school and in the community. He believes it is his mission to make a difference in the world and this is why he has started an initiative called #I Am Art to promote self-confidence and sense of pride in everyday people. In his eyes, everyone is a beautiful masterpiece. Wanting to reach out, and make a difference with the youth in the community, he started an educational series, where he goes around to elementary schools and puts on a workshop about dreams and goals. In this workshop, he talks to kids about the importance of having dreams and setting realistic goals to achieve them. At his first appearance, he reached over one hundred and fifty fifth graders at a local elementary school. They welcomed him with bright smiles and attentive faces. Their loud screams and laughter as they played games, and assured him that they were enjoying themselves. He asked them, "What do you want to be when you grow up?," they answered, proudly, " lawyer," "doctor," "hair dresser," and "singer," just to name a few. He made his first feature film role debut in 2014, Campin Buddies Film by Campfire Productions LLC as the “Extremely Tall Kid Camper.” He has performed to sold-out audiences as “Scar” in The Lion King Jr with Stage Center and as “Tin Man” in the Wiz at Caddo Magnet High School in 2015. As “Tin Man,” he earned The Best Performance by a Dancer in a Show Award.